DRUG DATA A new computing system lets pharmaceutical companies pool data to train AI programs for discovering new medications — without having to share confidential information with competitors. A new cryptographic system could allow pharmaceutical companies and academic labs to work together to develop new medications more quickly — without revealing any confidential data to their competitors. The centerpiece of this computing system is an artificial intelligence program known as a neural network. The AI studies information about which drugs interact with various proteins in the human body to predict new drug-protein interactions. 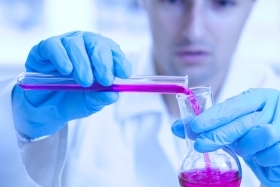 More training data beget a smarter AI, which was a challenge in the past because drug developers generally don’t share data due to intellectual property concerns. The new system allows an AI to crowdsource data while keeping that information private, which could encourage partnerships for speedier drug development, researchers report in the Oct. 19 Science. Identifying new drug-protein interactions can uncover potential new treatments for various diseases. Or it could reveal whether drugs interact with unintended protein targets, which might indicate if a medication is likely to cause particular side effects, says Ivet Bahar, a computational biologist at the University of Pittsburgh not involved in the work. In the new AI-training system, data pooled from research groups get divvied up among multiple servers, and the owner of each server sees what appear to be only random numbers. “That’s where the crypto-magic happens,” says computer scientist David Wu of the University of Virginia in Charlottesville, who wasn’t involved in the work. Although no individual participant can see the millions of drug-protein interactions that compose the training set, the servers can collectively use that information to teach a neural network to predict the interactivity of previously unseen drug-protein combinations. MIT computational biologist Bonnie Berger and colleagues Brian Hie and Hyunghoon Cho evaluated their system’s accuracy by training a neural network on about 1.4 million drug-protein pairs. Half of these pairs were drawn from the STITCH database of known drug-protein interactions; the other half comprised drug-protein pairs that don’t interact. When shown new drug-protein pairs known to interact or not, the AI picked out which sets interacted with 95 percent accuracy. To test whether the system could identify hitherto unknown drug-protein interactions, Berger’s team then trained the neural network on nearly 2 million drug-protein pairs: the entire STITCH dataset of known interactions, plus the same number of noninteracting pairs. The fully trained AI suggested several interactions that had never before been reported or that had been reported but were not in the STITCH database. For instance, the AI identified an interaction between estrogen receptor proteins and a drug developed to treat breast cancer called droloxifene. The neural network also found a never-before-seen interaction between the leukemia medication imatinib and the protein ErbB4, which is thought to be involved in different types of cancer. The researchers confirmed this interaction with lab experiments. This secure computing network may also encourage more collaboration in areas outside of pharmaceutical development. Hospitals could share confidential health records to train AI programs that predict patient prognoses or devise treatment strategies, Peng says. “Whenever you want to do a study on a large number of people on behavior, on genomics, on medical records, legal records, financial records — anything that’s privacy-sensitive, these kinds of techniques can be very useful,” Wu says. B. Hie, H. Cho and B. Berger. Realizing private and practical pharmacological collaboration. Science. Vol. 362, October 19, 2018, p. 347. doi:10.1126/science.aat4807. N. Seppa. Best choice for chronic leukemia treatment may change. Science News. Vol. 177, January 2, 2010, p. 15. GENE EDITOR Jiankui He, shown in a lab in Shenzhen, China, on October 10, has announced the birth of the world’s first gene-edited babies. A Chinese scientist’s surprise announcement on the eve of an international human gene-editing summit that he has already created the world’s first gene-edited babies has led to swift condemnation. That announcement sparked outrage from many researchers and ethicists who say implanting edited embryos to create babies is premature and exposes the children to unnecessary health risks. Opponents also fear the creation of “designer babies,” children edited to enhance their intelligence, athleticism or other traits. He, on unpaid leave from the Southern University of Science and Technology of China in Shenzhen since February, objects to the term designer baby. “Call them ‘gene surgery babies’ if one must or better yet ordinary people who have had surgery to save their life or prevent a disease,” He and colleagues wrote in a perspective published online November 26 in the CRISPR Journal. But in the video, He said that he realizes his work will be controversial, and he’s willing to take the criticism. Some families need the technology to have healthy children, He said, adding that enhancing intelligence or changing hair or eye color are “not things loving parents do” and should be banned. Yet many researchers and ethicists argue that He’s editing of the twin’s DNA was not lifesaving nor does it prevent disease. Although the girls’ father has HIV, there are safer ways to protect someone from contracting the virus, which makes the engineering both unnecessary and unethical. The scientists involved in the announcement “have knowingly violated the ethical norms surrounding this technology,” says Josephine Johnston, a lawyer and bioethicist at the Hastings Center, a bioethics research institute in Garrison, N.Y. The researchers are aware that the scientific community thinks that gene editing is still not safe or appropriate for use in human embryos. “You could even wonder whether they’re doing this for attention,” she says. At least one prominent gene-editing researcher, Feng Zhang of the Broad Institute of MIT and Harvard, has now called for a moratorium on producing gene-edited babies until researchers can establish safety requirements. Hundreds of Chinese scientists have signed letters condemning the work and calling for greater oversight of gene-editing experiments. Chinese authorities are also questioning the research. Shenzhen City Medical Ethics Expert Board said in a statement that it is investigating the case, and the hospital cited in documents describing the experiment has denied that the work was done there. He’s university said in a statement November 26 that the work “seriously violates academic ethics and academic norms,” and announced that it will launch an investigation. In another video, He said that his group used the gene-editing tool CRISPR/Cas9 to disable the CCR5 gene in the fertilized eggs that produced the babies, called “Lulu” and “Nana” (not their real names). CCR5 produces a protein that allows the most common version of the HIV virus to enter cells. Some people naturally have mutations in the gene that help protect them from HIV infection. Such “gene surgery” has already proven safe in adults with HIV, He said in the video. HIV infection is still a deadly disease and in the developing world, “discrimination increases the devastation,” He said. Gene editing could spare such children from their parents’ fate, He claims. Fauci and others are concerned that gene editing may sometimes go astray, damaging other important genes, which could lead to health problems such as cancer later in life. The babies aren’t even guaranteed to escape HIV either: People who have defective CCR5 genes may still be infected with a less common form of the virus. And people with missing or defective CCR5 genes are more susceptible to serious complications from West Nile virus infections, Fauci says. For now, it’s difficult for researchers to assess how successful the gene editing was. He’s work has not been published in a scientific journal, and other researchers have not gotten access to any data or DNA samples that could confirm He’s claim. Previous claims of successful gene editing in human embryos in lab dishes have also been met with skepticism (SN Online: 8/8/18). Verifying the editing would require thoroughly examining, or sequencing, the DNA of the twins and their parents, says Arthur Beaudet, a geneticist at Baylor College of Medicine in Houston. That verification might be possible because the Chinese researchers say that the embryos were sequenced before being implanted into the mother’s uterus and again after birth. But it may be harder to determine whether CRISPR/Cas9 has caused any mutations that may later harm the children, Beaudet says. Children often naturally develop DNA changes that their parents don’t carry. Beaudet and colleagues are conducting experiments with mice to determine whether gene editing leads to more of these new mutations than usual, he says. Such animal research and work on human embryos that won’t be used to create a pregnancy are necessary before researchers should even consider making gene-edited babies, he says. Laws governing gene editing vary, with some countries banning it outright and others, including China, having no or less clear policies. In the United States, the Food and Drug Administration cannot accept applications for research in which human embryos are made to have heritable DNA changes. That provision effectively bans the use of the technology to make gene-edited babies or “three-parent babies” who have a small amount of DNA from an egg donor (SN: 12/24/16, p. 22). Organizers of the first human gene editing summit, held in Washington, D.C., in 2015, said then that gene-editing research on human embryos could go ahead, but only if no babies resulted from the experiments (SN: 12/26/15, p. 12). Since then, other ethics committees have softened that stance saying that if gene editing were shown to be safe, it would ethical to use the technology to correct diseases, but not to enhance health, intelligence or other traits (SN: 3/18/17, p. 7). Public opinion in the United States has also been swinging in favor of gene editing to correct diseases, but not to enhance intelligence (SN Online: 7/26/18). The He Lab. About Lulu and Nana: Twin girls born healthy after gene surgery as single-cell embryos. YouTube. November 25, 2018. The He Lab. Why we chose HIV and CCR5 first. YouTube. November 25, 2018. J. He et al. Draft ethical principles for therapeutic assisted reproductive technologies. CRISPR Journal. Published online November 26, 2018. doi:10.1089/crispr.2018.0051. T.H. Saey. Researchers say CRISPR edits to a human embryo worked. But critics still doubt it. Science News Online, August 8, 2018. T.H. Saey. Most Americans think it’s OK to tweak a baby’s genes to prevent disease. Science News Online, July 26, 2018. T.H. Saey. Parents may one day be morally obligated to edit their baby’s genes. Science News Online, November 28, 2017. T.H. Saey. 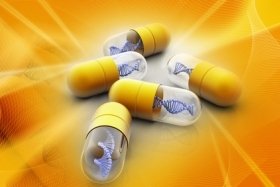 Human gene editing therapies are OK in certain cases, panel advises. Science News. Vol. 191, March 18, 2017, p. 7. T.H. Saey. Year in review: ‘Three-parent baby’ technique raises hope and concern. Science News. Vol. 190, December 24, 2016, p. 22. T.H. Saey. Human gene editing research gets green light. Science News. Vol. 188, December 26, 2015, p. 12. 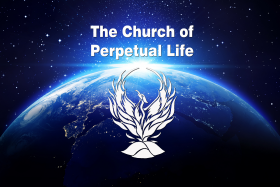 Perpetual Life is the only science/faith based church in the world. We are not a bible based church & although we are not a Christian Church, many of our members are Christian & Jewish. We also have members that are Buddhist, Humanist, Athiest, and Hindu. What brings us together as a Family is our Faith in Physical Immortality. Humanity is constantly overcoming obstacles that at first appear impossible, and once overcome, a new era dawns and humanity is elevated. And so it is with our belief in living Unlimited Life Spans. Humanity is on the brink of a new Era where your physical health becomes Optimal and death becomes Optional. We provide fellowship for longevity enthusiasts, and act as a central gathering place for Transhumanists & all People interested in Age Reversal, Cryonics and the Singularity. We invite you to visit, in person or via our Live Streaming, and in the meantime you may check out our Youtube channel, the link is above. We hold faith in the technologies and discoveries of humanity to end aging and defeat involuntary death within our lifetime. Following the prophetic writings of Nikolai Fedorov & Sir Arthur C. Clarke, a founding tenet of Perpetual Life is that indefinitely extended, healthy lifespans are Desirable, Attainable and Our Ultimate Destiny.